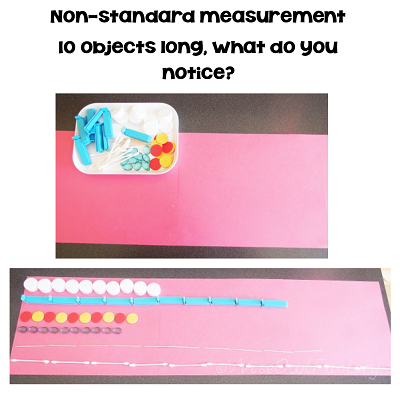 Need non-standard measurement activities for centers? 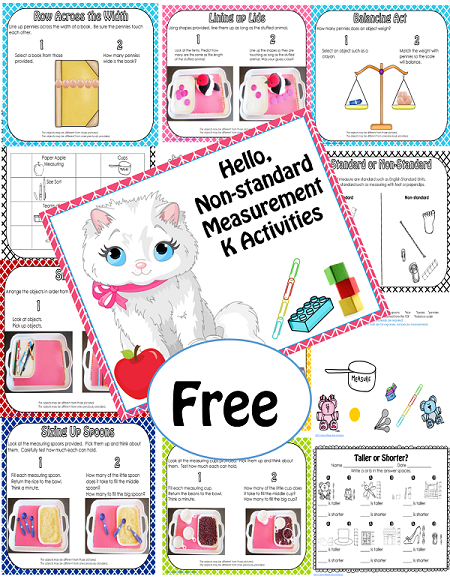 This post has a free non-standard measuring K activities printable. 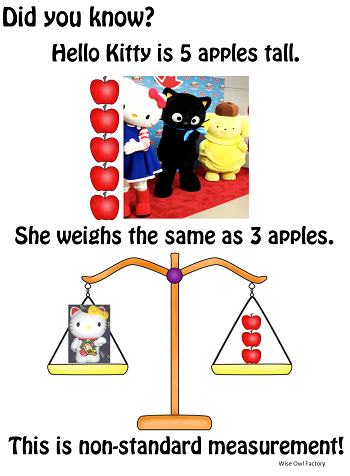 Did you know Hello Kitty is 5 apples tall and she weighs as much as 3 apples? We learned this interesting mathematical fact at the Hello Kitty Super Cute Friendship Festival in Minneapolis, also known as #HKFestival. 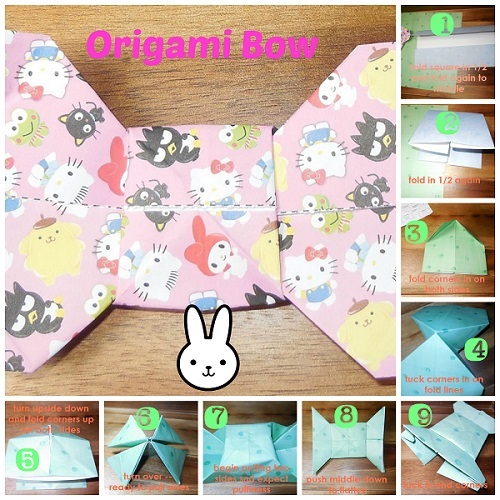 The first stop was crafts, and this may or may not help you to make an Origami bow for your stuffed animal kitty, but here are the steps. We also made a chatterbox after meeting the famous characters at the photo session. For the picture below, I used thick paper to try to make the photos more easily understood. I also recommend looking up a YouTube video and online directions. 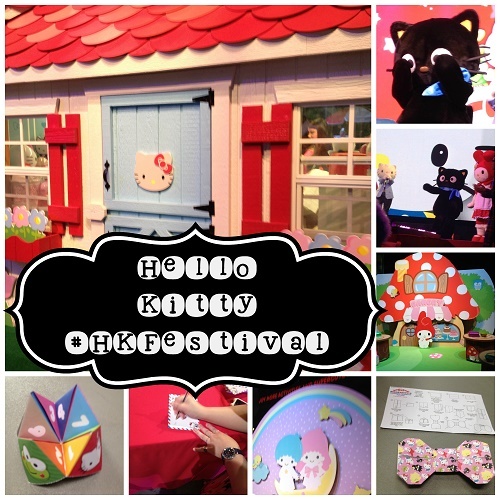 The festival had quite a few interactive exhibits and activities such as writing to Hello Kitty, visiting her house, many photo opportunities, and of course the shows. We used the app, too, and learned new things about the characters. 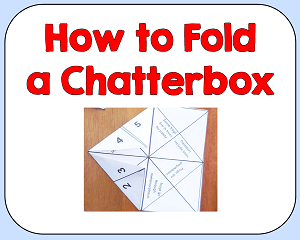 Here is a PDF with instructions on folding the chatterbox (fortune teller, cootie catcher) which includes a pattern and a blank page to print and fold. The fascinating math information about Hello Kitty inspired me to create activities for kindergartners to experience non-standard measurement. 5 apples tall, and weighing 3 apples . . . such a fun thought to introduce non-standard measurement. Here is the free printable for use with kindergartners or near the beginning of grade one. The CCSS are listed on the last page. Simple set up and materials will make these centers easy to provide. Of course, just print the pages you want to use at home, for homeschools, or school. The best book to read to the class about measurement is How Long is a Foot? by Rolf Myller. The story explains why standard measurement is necessary, and will have the children laughing while understanding why. 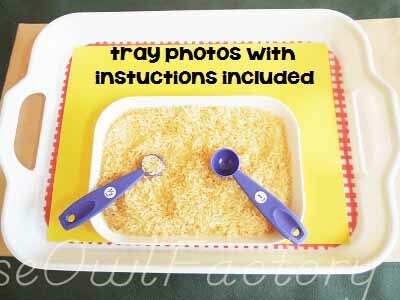 Photos of activities on trays set up ready for use are included in the printable. 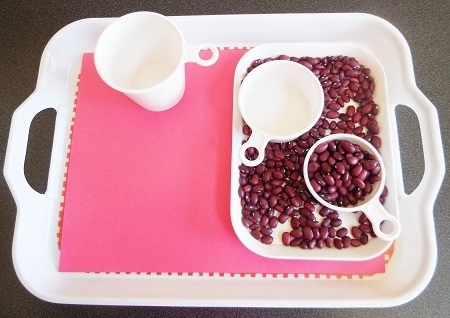 Photos of trays set up and ready for use are included. Yes, those are some standard kitchen measurement tools but at this point the idea is to let the children explore and discover. Before hundred day, try some shorter lines of non-standard measurement activities such as just ten objects. 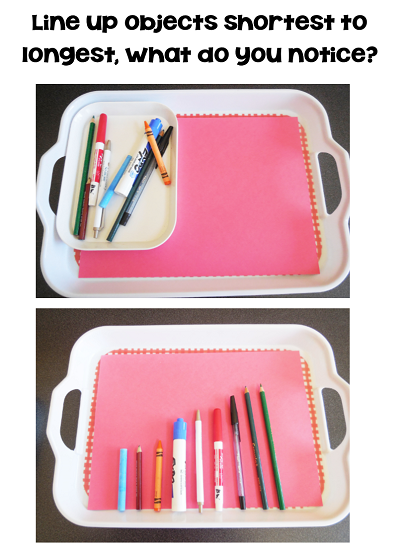 Shortest to longest tray set up ready for use. And also provide some experience with standard kitchen measurement tools for exploration and discovery. What do the children notice?